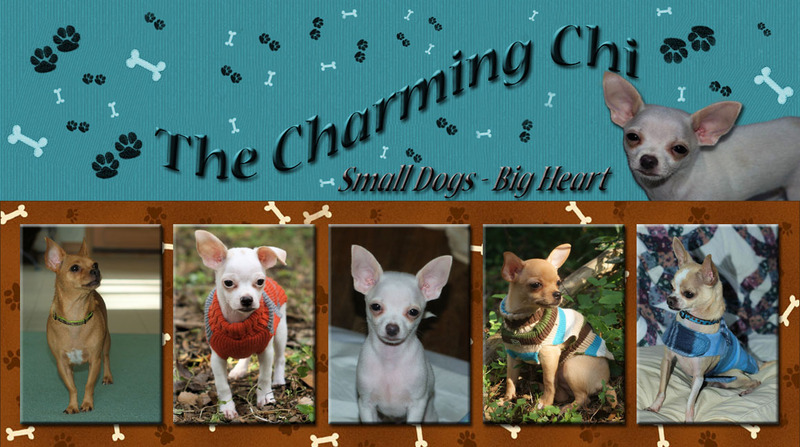 The Charming chi: Free-feeding and Why It Works!! When we got our first Chihuahua puppy we were told to free feed him until he was least 2 lbs or 4 months of age. Six years later and now with 5 chis, we are still free feeding. And it works. It's common advice out there that you should never free feed your dogs. There are those who will tell you that you are destined to have overweight dogs if you free-feed or worse.. Your dogs wont see you as the 'alpha' because they wont know that the food comes from. Somewhere in dog land there is this myth of magical bowls that just generate kibble entirely without the help of humans and if you have one of those bowls you are lucky and just misbehave all you want and still eat!! Hahahaa.. how glorious that must be! But interestingly enough, I have been free-feeding for years and find that not only do I NOT have those problems but I don't have a lot of problems that schedule feeders have. 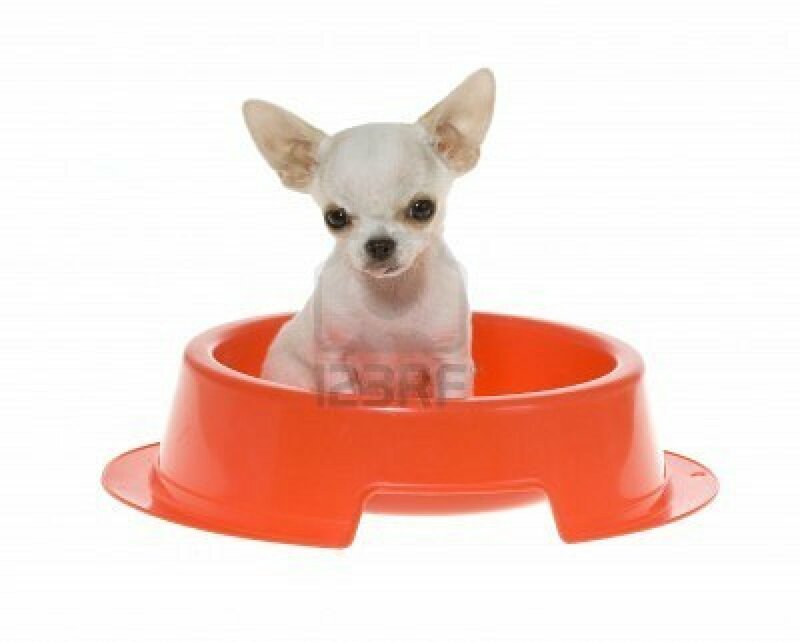 hmmm.... Maybe there is something 'magical' about this food bowl after all! The truth is that dog really do see you put kibbles in the bowl. They are pretty smart little chibabies after all! And they actually monitor their food intake on their own pretty well too. They eat when they are hungry and they stop when they have had enough. I don't have overweight dogs. Little Susu is just as scrawny as he ever was and while Ginger is a hefty girl she is not overweight just more of the 'Chi-nocerous' build. Free fed dogs never feel that the need to just eat everything in the bowl. And I don't see the behavior problems some like to toss around either. My dogs know that the food comes from us because well they are smart like I mentioned earlier and they do see who fills the bowl and all. But I really don't see how feeding on a schedule could suddenly create well behaved dogs anyway and from what I've seen there are a lot of poorly behaved schedule fed dogs roaming around waiting for dinner. The bottom line there is if you want well behaved dogs you need to take the time to train them. Free feeding or schedule feeding will have very little to do with overall behavior. However, dogs who are free fed do not feel a need to fight or quibble about food. Fighting over the food bowl is a major issue in a lot of multi-dog households and its one I'm happy to say that we don't have. My dog eats alot but I've also noticed that when she's full, she's full and she won't eat anytime soon. But sometimes I'm also wondering if she's eaten too much because her belly is sometimes bloated. Imagine a dog with a doughnut stuck in their tummy, waddling. Do you think aside from training, it's because of the Chi breed that they don't overeat? If your dog is bloated take a look at the food she is eating. Dogs have sensitive tummies. Grain and some fruits veggies dont agree with a lot of dogs. 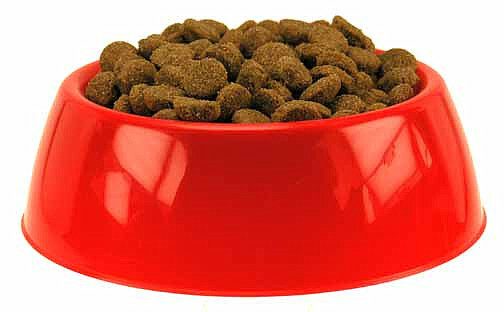 Many foods are as much as 25 - 40% grains even though dogs have absolutely no true 'need' for carbohydrates. Wheat and corn and the big ones that tend to both dogs. If she is occasionally bloated I would look for anything you may have given her that is out of the norm. If its frequent I would change dog foods. 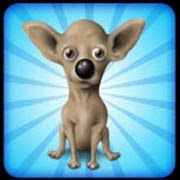 I'll be blogging more on dog food choices and adding fresh foods to your dogs diet this week too. And I think free feeding will work for most dogs. There are exceptions of course but most dogs will regulate their food intake on their own. Not just chis. I free feed too Michelle, even my pug and pugs are notorious for overeating. Neither one of mine overeat and they don't "gulp" food down because they aren't so hungry at mealtimes which cuts down on gastric distress and I don't have to worry about low blood sugar with my chi because he can nibble throughout the day. I agree 100% with everything in this post. Funny thing is, all the weight loss experts say for humans to eat many small meals a day, but pets should be feed 2-3 larger meals per day, which they gulp down. HMMMMM...makes me wonder. We are on our fifth German Shepherd and have always free feed and not one has ever had any food related problems. Makes you think what's good for people to control weight is not the same for other mammals....I don't think so. Hi Just found your blog. Love your puppies. We have six dogs all types but my latest is a puppy Chi called Archie. I love him to bits, but I am learning how to take care of him being so small and delicate. He is 22 weeks now and still only tiny. I think he will be one of the smaller ones.. My other dogs love him to bits and have completely accepted him. He is now a big part of family life.